Because it’s past the deadline to file resolutions and bills, the rules dictate that the chamber’s Republican leaders would need to consent to its introduction. 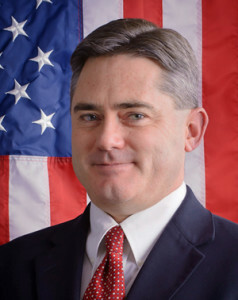 Holbert’s disingenuous call for everyone to ‘slow down’ since Senators “had just received reports on the latest investigation Friday” is undermined by the ample evidence the vote to expel Baumgardner was deliberately scheduled to maneuver around this second investigation–an investigation that validates the original complaints agfainst Baumgardner, and further underscores Baumgardner’s serial harassment of women at the state capitol. Although Senate staff had the new report, it wasn’t released to the victims because Baumgardner had refused to be interviewed. Between Baumgardner’s obstruction and the willingness of Senate leadership to proceed as if he wasn’t obstructing, Republicans had enough manufactured uncertainty to justify among themselves voting against expulsion. And now it appears they’re going to run out the clock–no matter what else comes out, no matter how bad it looks. The second investigation doesn't contain anything new. It just says what the first one says because it uses the same sources. It is all based on the same hearsay evidence that would never pass in a court of law. Randy's enemies are exploiting the metro movement for political gains! That's why the vote to expel failed, not new information they didn't have. Want to tell us what the "metro movement" is? Explain why the "same hearsay evidence" would never pass in a court of law, with citations to the Colorado Rules of Evidence. Well, unnamed and spaceman65, I think you've just asked questions beyond blacksheep's pay grade . . . so to speak . . .
An outside investigation validated two additional complaints, one filed by a male staffer and supported by others alleging the lawmaker created a hostile and offensive work environment, and another who accused him of acting inappropriately with a female intern, according to a report by public radio station KUNC. Aw, don't pick on the poor shill. He's doing the best he can in Moddy's absence. He may even be one of his sock-puppets. Speaking of Moddy, I hope someone took him back inside. I put him out on the porch railing for some air and light, but when I returned, he was missing. Anyone know anything about his whereabouts? Lies of course but can string together a few sentences. Will be interesting to see if there are any clarifications to the broad brush dismissals like facts. Won't hold my breath but you never know.